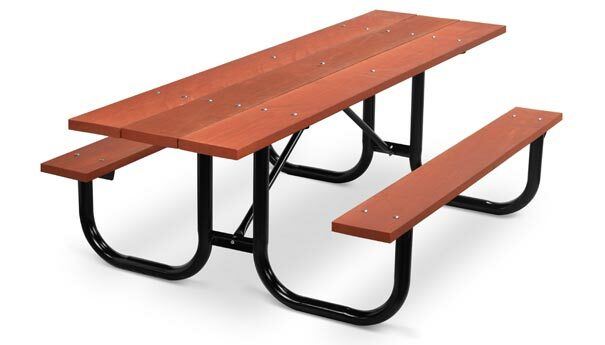 The Strongest, most durable picnic table ever built. It's 2-3/8" O.D. welded frame will stand up to the toughest abuse. Frames are hot-dipped galvanized or black powder-coated. 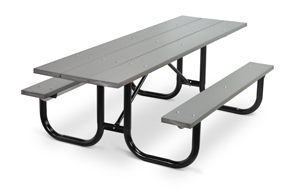 Our specially designed universal access table frames will accommodate any standard wheelchair. 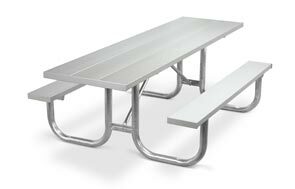 Seats are 6' long and the 8' top to provides 19" beyond each end frame to accommodate a wheelchair at both ends.